Sold by Securifi Inc and Fulfilled by Amazon. Link Motion Detector with other sensors using the Almond app. For example, specify that when motion is detected a light should turn on for 10 minutes. Need help with our products? Write us at support@securifi.com. 1. Remove the back of the sensor by pushing in the button at the bottom of the sensor. 3. Tap on the “Add Sensors” icon in the LCD UI of your Almond and tap on “Add” to start adding the sensor. Now tap the “Join/Reset” button highlighted in the diagram below and the sensor should be added to your Almond. The LED will flash to indicate that the sensor is being added. 4. Reattach the rear cover of the sensor and make sure it snaps in place properly. 5. On the Almond LCD, go back to the “Home” screen and tap on “Connected Sensors” and tap on the sensor you just added. Next tap on “Tampered” to reset the tamper switch. Your sensor should now be fully operational and ready to be installed at your location of choice. 6. You can adjust the sensitivity and timer on the motion sensor using a flat screw driver at the top of the sensor. *If the sensor does not pair with the Almond, please repeat “Resetting a sensor” step below. 1.To reset the sensor please press and hold the Join/Reset button for 10 seconds until the green LED lights up briefly. Monitoring the Motion Detector Sensor. 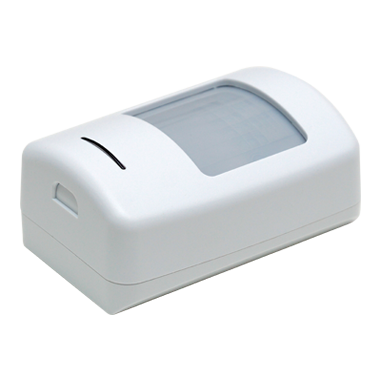 1.The Motion Sensor can be monitored and controlled via the Internet using our free Almond iPhone and Android apps or from a standard web browser (http://connect.securifi.com). 2.In case the Almond can’t access the Internet, you can also monitor the Motion Sensor via the Connected Home app on the Almond’s touchscreen or via the Almond’s local web user interface (default: http://10.10.10.254). For more information about adding, removing, resetting, monitoring, controlling, or troubleshooting this device, be sure to check our detailed Quick-Start Guide. Securifi Motion Detector Quick-Start Guide is available in PDF format.